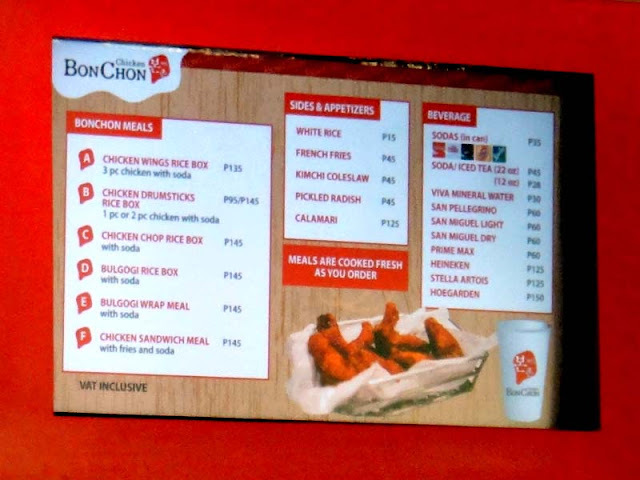 Growing popularity for some time now is BonChon. 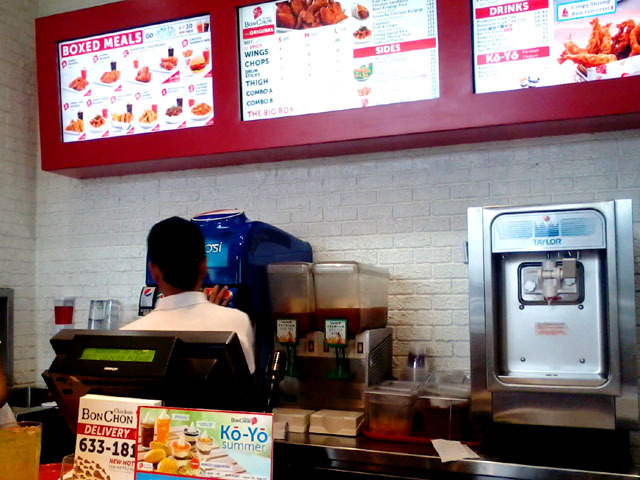 It's a franchise from Korea and proved to be one of its best chicken chains. 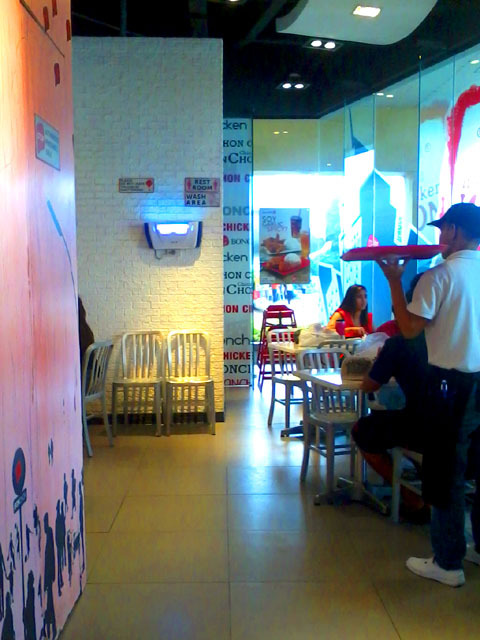 In their Ayala Triangle Gardens branch, the interiors are bright and simple with black , red, and wood finishes. 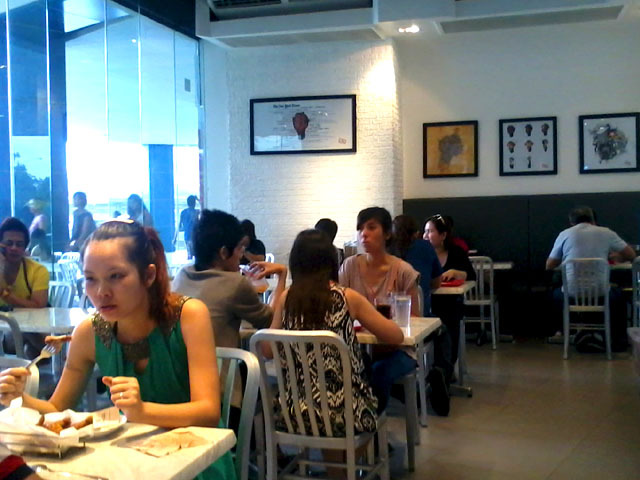 Two walls are bright white, supplemented with white tables and silver chairs. 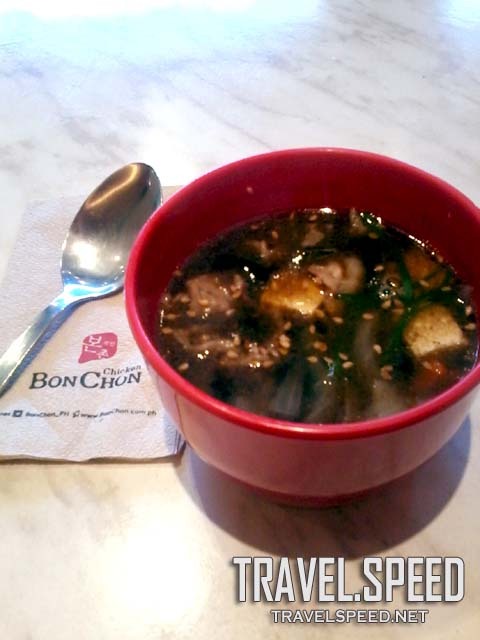 BonChon Ayala Triangle Gardens branch offers a sweeping view of the park. Very engaging spot to dine. Even with the small space, a fully-equipped comfort room is provided. It ha a modern design, with dark tiles, his and hers toilet, enough paper towels and liquid soaps. 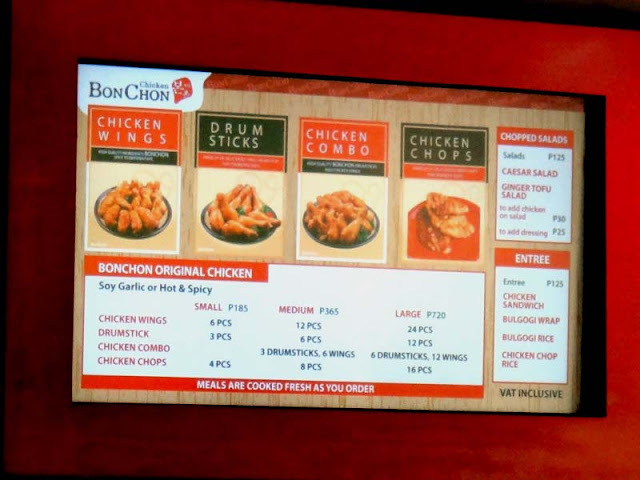 BonChon - Mall of Asia branch. Outdoor dining available. I'm no expert so perhaps I did not fully understand the matter of 'double-fried' chicken and how seeping flavors are supposed to taste. I find their chicken crunchy and original. Plus the price is friendly. The Bulgogi Soup was similar to Sariwon's Bulgogi broth. Really nice.